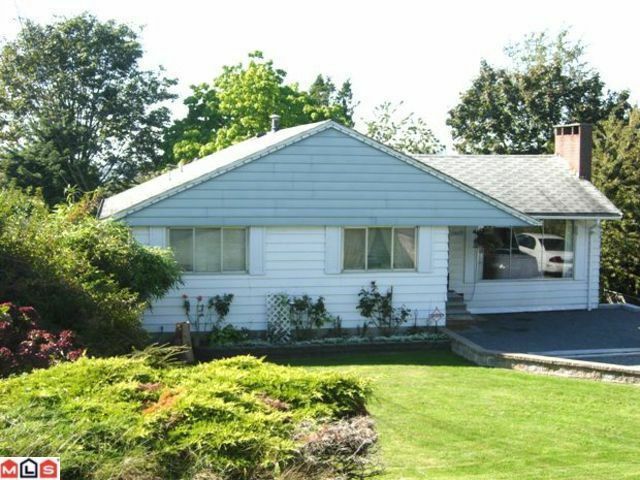 This well designed rancher w/full bsmt home has been lovingly cared for by long time residents. Come enjoy the sunsets from most rooms or step out to the deck and relax overlooking your private yard. Three generous bedrms up make this a great family home w/HW floors under carpet. Lots of potential in the bsmt with big rec room, huge bedroom and a great workshop area easily converted to extra bedroom. Located in a family neighborhood, close to all levels of school, SFU, transit, rec and shopping, new library. Tons of storage, new HW tank. Great value, Great neighborhood.